Why Call A Minicab When You Can Text-A-Minicab? Available free to registered users and Corporate Account holders the Devon Cars Text-A-Minicab service makes booking a Minicab easier and more convenient than ever. Simply pre-register your mobile phone number with Devon Cars together with details of your most popular locations and at the touch of a button your Minicab is booked and on its way. Using Text-A-Minicab is the fastest, easiest and most convenient way to book your ride. Just text one of your location keywords to 787textataxiPhone787 and Devon Cars’s automated booking and response system does the rest. 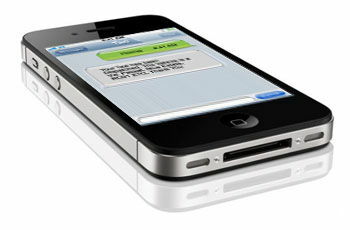 Your booking is confirmed via an SMS text message followed by text notification that your vehicle has been despatched. You’ll receive another text as your car is arriving. All Text-A-Minicab bookings are given priority status and when combined with North London’s best fleet of private hire vehicles this means that Text-A-Minicab customers can be assured of the fastest and most reliable response possible. Register now and the next time you need a Minicab, you can Text-A-Minicab. Leading the way in private vehicle hire, Devon Cars is the only company in North London with the technology to provide the Text-A-Minicab service. Register for free by calling our customer service representatives on 020 7624 8111.